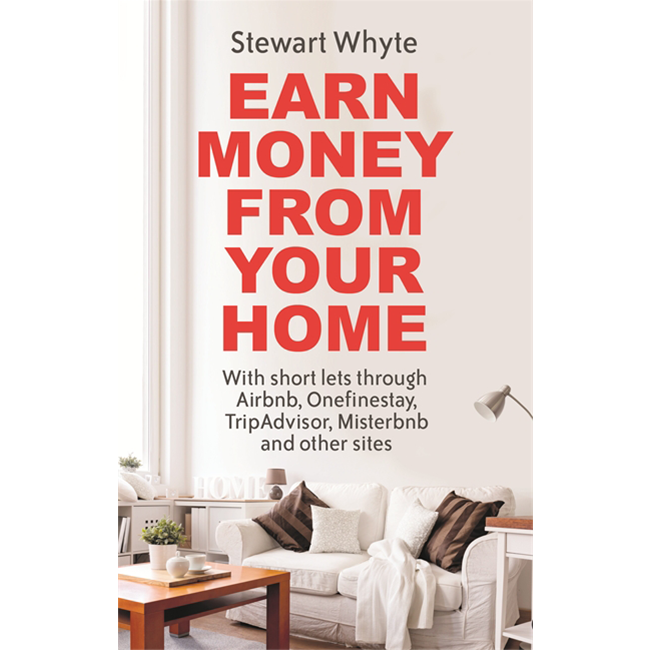 The essential how-to guide to Airbnb, TripAdvisor, Wimdu, Booking.com and Onefinestay. The author, Stewart Whyte, is the most trusted expert on running a B&B and now he shows every home owner how to turn a vacant room or under-utilised home into a source of income. The bed and breakfast industry is going through extraordinary change. The growth of Bed and Breakfast is a success story unparalleled throughout the Western World. Many people are choosing to list their home with the world’s largest holiday reservation platforms such as Airbnb, TripAdvisor, Booking.com and stayz to name a few. 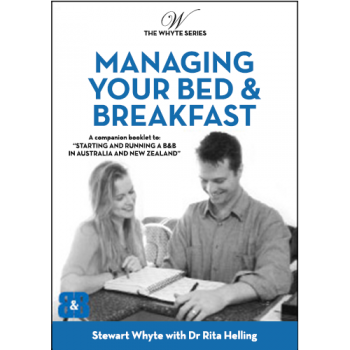 To meet demand and substantiate Bed and Breakfast’s place in the accommodation industry there is a growing need for increased knowledge and professionalism among Bed and Breakfast operators and in particular those people considering entry into this sector of tourism. During the last five years the shared economy has taken off with Airbnb and Uber leading the charge. These companies are all part of a revised industry that uses hi-tech web-sites and apps to promote shared assets and resources which enables the listed properties to often by-pass local government rules and regulations that traditional operators have had to abide by. The shared economy is here to stay, hence the reason why Airbnb, TripAdvisor and Expedia are so popular with the travelling market. They have a multi-million audience of tourists wanting to book accommodation. 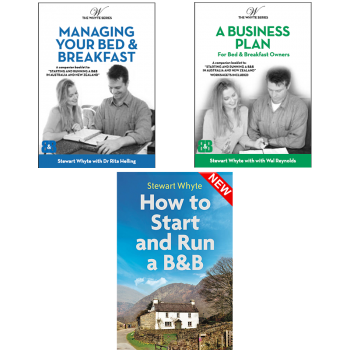 Current trends show that changes in the workplace could be one of the main contributors to the high level of interest in becoming a Bed & Breakfast operator. Another influential factor is the growth of the short break holiday market. Those who take short break holidays, often including some time devoted to work, historically prefer this form of accommodation. It is important to remember, however, that knowledge is not an end in itself. You must use the knowledge gained from this publication as a resource and stepping stone to achieve your goals and aspirations. 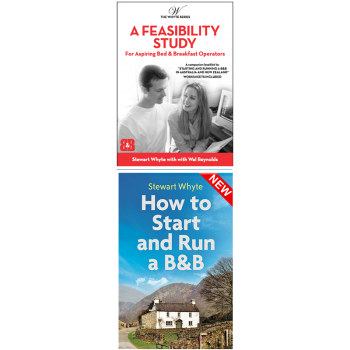 The research you need to do to make your B&B a success must be personal to you and your market. All issues covered in this book are significant, but professionalism is the most important. This book reinforces the need to seek professional advice in the early stage of your venture. It gives you an insight into the level of professionalism you need to consider in order being a success in this business.